What routers did you use and what images for this lab? this gigabit interface that i manually added in R6 you can use any other interface like FE, serial etc.. Thank you for your quick answer viki. Could you by any chance post the .net files of your labs, that would be very helpful! hi viki.it's very good and easy ti learn of route summarization. A loopback interface is a logical, virtual interface in a Cisco Router. A loopback interface is not a physical interface like Fast Ethernet interface or Gigabit Ethernet interface. A loopback interface has many uses. 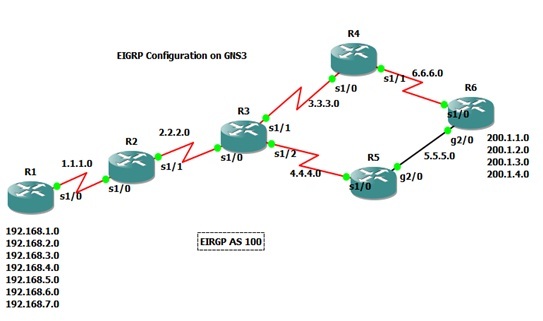 Loopback interface’s IP Address determines a router’s OSPF Router ID.A loopback interface is always up and allows Border Gateway Protocol (BGP) neighborship between two routers to stay up even if one of the outbound physical interface connected between the routers is down. Loopback interfaces are used as the termination points for Remote Source-Route Bridging (RSRB), and Data-Link Switching Plus (DLSW+). Loopback interfaces interfaces are always up and running and always available, even if other physical interfaces in the router are down.